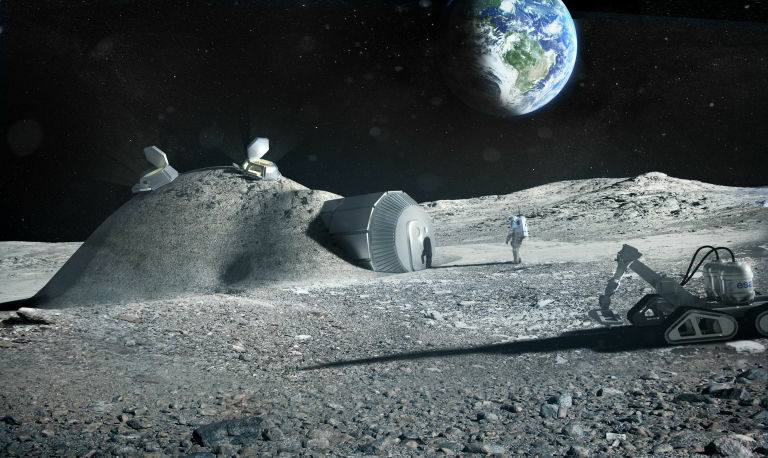 The ESA’s Director General calls it “Moon Village,” and the rest of the world seems to be coming around to the idea. Woerner, you see, breaks down the history of space exploration into four periods. All of ancient and classical astronomy is lumped into Space 1.0, the space race from Sputnik to Apollo is Space 2.0, and the establishment of the International Space Station defines the period of Space 3.0. As the largest space station—which holds the record for longest continuous human habitation, 16 years and counting—the ISS soars as a shining example of successful, longterm, peacetime international cooperation like no other program in the history of humankind. Space 4.0 is a continuation of that spirit of global cooperation, and it represents the entry of private companies, academic institutions, and individual citizens into the exploration of the cosmos. Moon Village, part of Space 4.0, is a worldwide community of people who share the dream of becoming an interplanetary species. “Somebody was asking me, ‘When do you do it, and how much money do you need?’ I said it’s already progressing, as a village on Earth. The village starts with the first actor, and we have several actors right now, so it’s already on its way,” Woerner said to the Space Transportation Association (STA) at a Capital Hill luncheon on December 9, as reported by Aviation Week. 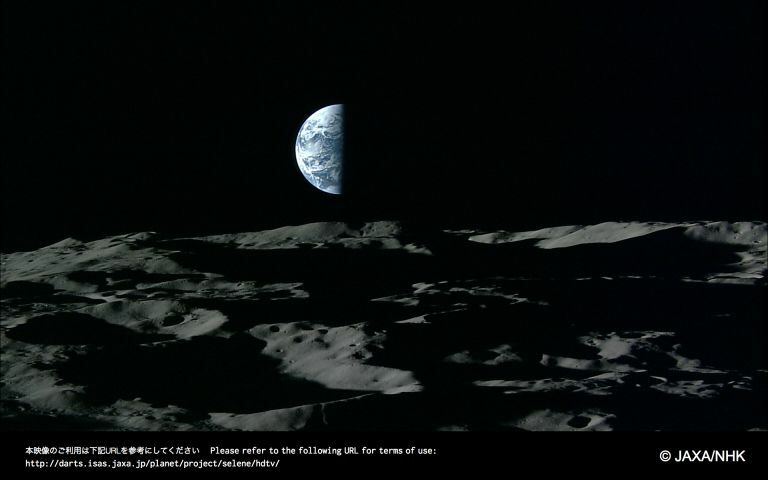 Of course, all this sentiment is nice, but where are we in terms of building a physical moon base? Closer than you might think. The rest of Europe has united behind Woerner’s idea, as the science ministers of each ESA member state have endorsed Space 4.0. To that end, the European Space Agency is developing a Lunar Lander, its first. The program was postponed in 2012 because Germany, which is covering 45 percent of the costs, couldn’t convince the other member nations to put up the additional 55 percent. Renewed interest in lunar exploration with a German at the helm of ESA could be enough to jumpstart the program again. Meanwhile, ESA is investing in technologies to develop 3D printing methods that would work using lunar soil. The research could pave the way for constructing tools and even habitats on the moon. The British architecture firm Foster + Partners has gone so far as to design a catenary dome with a cellular structure that could guard an inflatable lunar habitat against both small pieces of debris and space radiation. Other nations have their eyes set on the moon as well. India and Japan both have lunar rovers under development that they plan to launch before 2020. China has two sample return missions in the works and a plan to land on the far side of the moon for the very first time, all before the decade is out. The space agencies of Europe, Japan, Russia and China have all proposed missions to put astronauts on the moon in the coming decades. And then you have the private moon race. The Google Lunar XPRIZE is offering $30 million in prize money to private teams that can land on the moon, have their spacecraft travel 500 meters, and transmit high-resolution photos and video back to Earth before the end of 2017. The finish line to that race is in sight. Five teams have launch contracts that have been verified by XPRIZE. Israeli team SpaceIL has booked a ticket on a SpaceX Falcon 9; American team Moon Express’s MoonEX-1 will fly on a Rocket Lab Electron rocket; the international team Synergy Moon plans to use a NEPTUNE 8 rocket, built and launched by California-based Interorbital Systems; and as was just announced today, Indian Team Indus and Japanese team HAKUTO will launch their lunar craft jointly on a Polar Satellite Launch Vehicle (PSLV), a proven rocket built and operated by the Indian Space Research Organization (ISRO). The majority of Lunar XPRIZE spacecraft are rovers, but Team Indus, for example, is planning a lander and two rovers, while SpaceIL and Moon Express have spacecraft that will hover over the lunar surface after landing. We are about to have a slew of private spacecraft headed to the moon for the very first time. Will NASA Choose Mars, or the Moon? As it currently stands, NASA’s planned spaceflights to the moon are ultimately meant to get somewhere else: Mars. The agency intends to use its new Orion spacecraft for a series of missions to the space between Earth and the moon, called cislunar space, as well as for lunar orbiting missions. These missions are intended to test the Orion craft, study the effects of longterm spaceflight on astronauts, and perhaps place a spacecraft in permanent orbit around the moon with the end goal of launching a mission to Mars. Elon Musk and even President Obama have thrown their full support behind NASA’s Journey to Mars. Other than a robotic sample return mission, NASA has no plans to land on the moon. Donald Trump could change all that. It’s still unclear exactly how the Trump administration will redirect NASA’s plans, but one thing is clear, President-elect Trump will redirect NASA’s plans. A look at Trump’s NASA transition team can help us begin to read the tea leaves. Jack Burns, a University of Colorado at Boulder professor of astrophysics and planetary science, was added to the transition team earlier this month. Burns is the director of the Lunar University Network for Astrophysics Research (LUNAR), a consortium of universities, research institutions, and NASA centers that wants to build a radio telescope on the moon. Astrophysicists have long wanted to study the “Dark Ages” of the universe more comprehensively. This early period on the cosmic timeline, which lasted from about 380,000 to 150 million years after the Big Bang, is characterized by vast amounts of hydrogen gas that had not yet coalesced into visible stars. The universe cooled significantly during this time, as cosmic background radiation dropped from about 4000 Kelvin to just 60 K (-213 C). Astronomers believe that the first life of the universe could have formed during this time. But we have trouble seeing it because the electromagnetic light from the time is emitted at the 21 cm (8.3 in) radio wavelength—a wavelength that has abundant interference here on Earth thanks to all our radio technology. Building a radio telescope array on the moon would solve that problem, and as Aviation Week reports, the U.S. Naval Research Laboratory has proposed achieving this by using robots to unroll and construct vast antennas. In addition to Burns, Greg Autry of the University of Southern California has been added to Trump’s NASA transition team. An assistant professor of clinical entrepreneurship, Autry is an advocate for programs that prioritize private space companies moving forward, and he has heavily criticized the Space Launch System, the rocket that NASA plans to use to launch astronauts to Mars. If NASA pivots their focus away from Mars to our planet’s own natural satellite, we could find ourselves in the midst of a worldwide push to go back to the moon. This time for good.